It is unlikely that an acute overdose of either compound would result in symptoms more serious than either anorexia or vomiting, but the adverse effects noted above could occur. Dogs receiving 10 times the labeled dosage rate of enrofloxacin for at least 14 days developed only vomiting and anorexia. Death did occur in some dogs when fed 25 times the labeled rate for 11 days, however. Oral LD50: greater than 5000 mg/kg Dermal LD50: greater than 2000 mg/kg Inhalation LD50: greater than 3547 mg/m3 (4-hour exposure) Eye effects: irritant; reversible in less than 7 days. Tablets: 5.7 mg, 22.7 mg, 68 mg, & 136 mg Can be made into suspension. 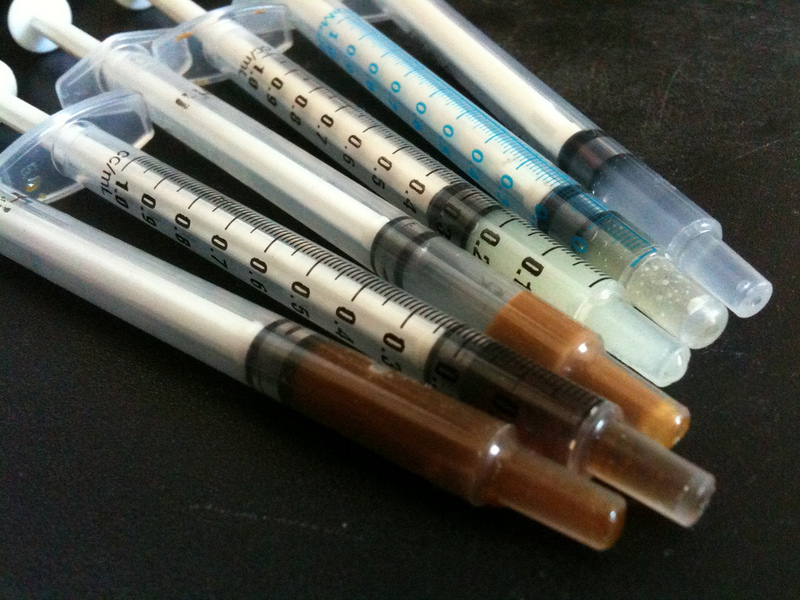 Also comes as 22.7 mg/mL in 20 mL vials, or 5% solution in 20 mL vials for injection. Caution with injection dose as these routes can cause tissue necrosis and pain at the site. Dilute with sterile saline before injection. Further Notes: Because enrofloxacin may cause skin ulceration (tissue necrosis), and pain, at the injection site; it is recommended to dilute the injectable solution with sterile saline or LRS. Be sure to keep animals well hydrated to prevent crystalluria (formation of crystals in urine). Reconstituted suspension from powder should be kept refrigerated and has a 14 day expiration time. Injectable Baytril should be stored away from direct sunlight. Do not refrigerate the injectable form, freeze or store at or above 40°C (104°F). Precipitation may occur at cold temperature. To redissolve, warm and then shake the vial. Enrofloxacin is generally used simultaneously with doxycycline however Pouched Rats may be intolerant to doxycyline. Courses of antibiotics should always be completed as per your veterinarians recommendations. Previous articlePouched Rats as Pets? Quick Questions FAQ!